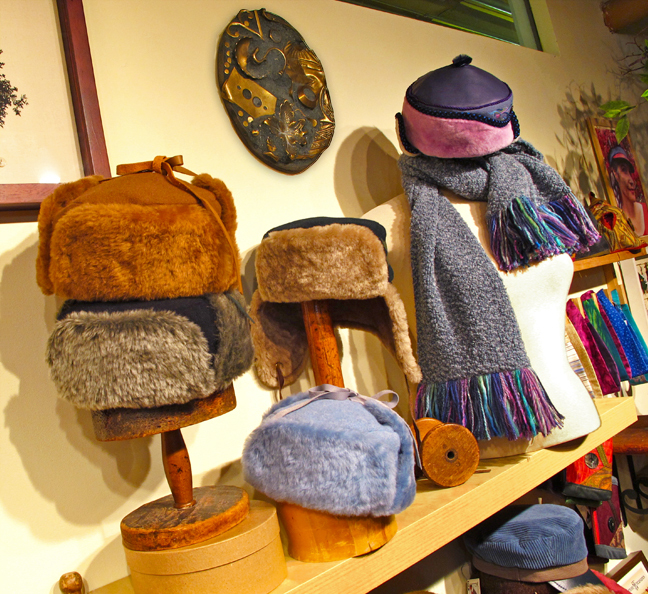 Our radiant Boutique in Toronto is filled with warmth and colour. It may be cold and snowy outside but we have the perfect antidote. Don't let those gloomy gray days of Winter get you down. 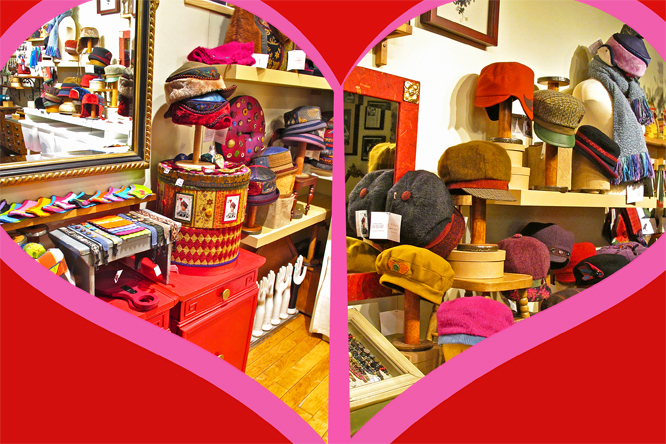 Come to our Happy Valentines Day Sale and lift your spirits with a little magic. After all it is the year of the Rabbit! Our creative life is moving forward in leaps and bounds. To top it all off, Gwendolyne's working on a limited edition of our famous Tibetan design to celebrate our 20th anniversary. 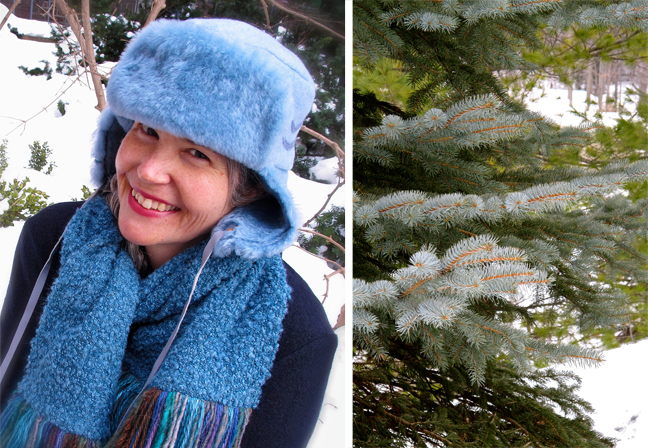 Here Gwendolyne is modeling an icy blue version of her latest Winter Wave. 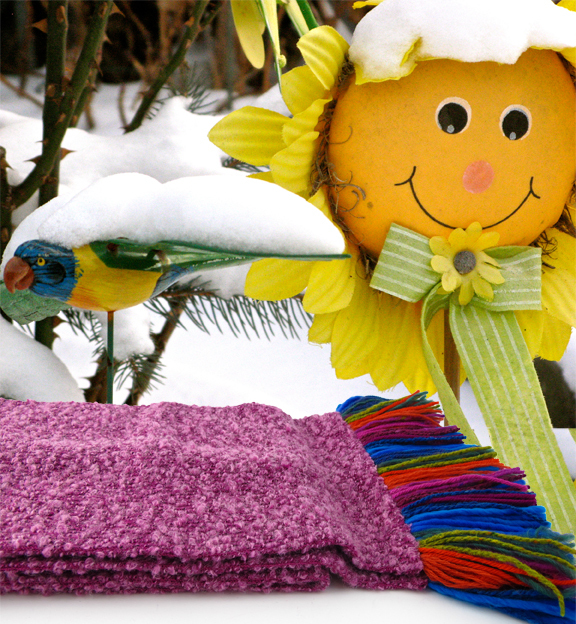 It's matched with one of our a hand-fringed boucle knit scarves. This little "Snow bird" didn't make it south for the winter. But toss in one of our hand-fringed boucle knit scarves and you've got a cozy carpet ride all season long. Did you know you can follow Gwendolyne Hats on Twitter? We love taking pictures and sharing positive energy with the world. See our latest Twitpics on the left of this blog. 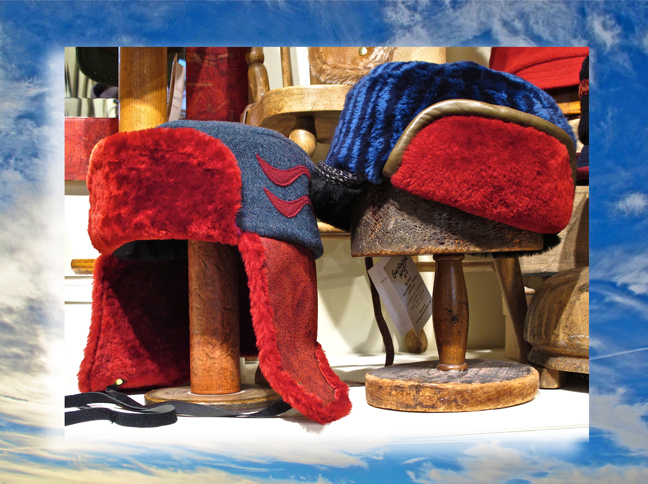 Last year one of our special clients requested a Russian Ushanka hat. That promise was finally delivered to Ken this January and he was very pleased. Now named the Winter Wave this design is made from a double layer wool weave, Italian Lamb shearling and lined with cotton flannel. It’s luxurious feel is equally matched with great warmth for the coldest winter months. 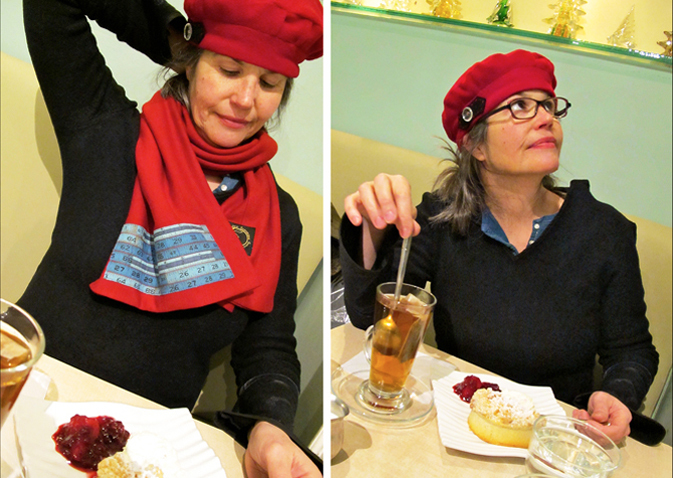 Here we pause for Tea and tarts as Gwendolyne unwraps her new scarf design. It's made from a rare double-knit Italian wool and has a unique tape measure art applique accent. We're thinking ahead to a New Year of style and great taste. Come to our Shop to look your best. Labels: " Boucle Scarves", "gwendolyne hats", "The Tibetan", "Toronto", "Twitter", "Ushanka hat", "Valentines Day", "winter hats", "winter", "womens hats", "Year of the Rabbit"